Our Lowboy line of premium enclosed trailers is designed with the utmost precision for years of trouble-free service. 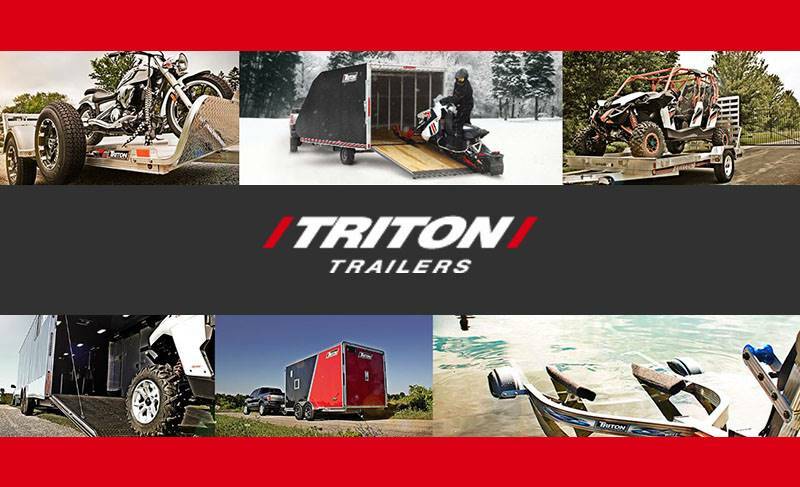 With features like two full-length quickslides and a dropped rear beavertail, you can be sure every detail has been crafted to meet the unique needs of snowmobile hauling. Take a look at some additional features below, and be sure to request a quote from your dealer when you find the model you’re looking for. Quality 2 5/16 in. coupler with steel safety chains and spring loaded clips for ease of use, strength and safety when you need it the most. Integrated stainless steel door latch with minimal exposed parts for long-lasting life and protection from the elements. 2 full deck length Quickslide™ tiedown channels welded to the framing provide unlimited tiedown flexibility. Front and rear spring assisted ramp door. Spacious interior with 98 in. between walls and 82 in. between fenders. Heavy duty, dual wheel tongue jack makes it easier to move the trailer off the hitch while keeping the tongue off the ground. Ramp approach angle engineered into door, providing strength and durability while making loading easier. Four flush mount D-ring tiedowns. Aluminum door hinges have grease zerks to provide fluid quality movement and long life. Two LED dome lights for bright, consistent illumination. Fully treated marine grade 5/8 in. plywood decking for durability. Backed by a limited lifetime warranty. Dropped rear beavertail with long ramp door provides easy loading for low profile vehicles. Frame rollers on rear axle mounts. Unique double seal door design prevents leaks, keeping the cargo area dry. US DOT and Transport Canada compliant sealed LED bullet marker lights and stop, turn, and tail light bars for long-lasting life and protection from the elements. Tall aluminum diamond plate stone guard. 15 in. Aluminum rim radial tires.